Wow, another fantastic round of the Pillow Talk Swap! I had so much fun stalking my secret partner. Darci made a great inspiration mosaic to get me started. When I was thinking about what to make for her, I knew I wanted it to be not only scrappy and colorful, but also crisp with a touch of whimsy. Butterflies are whimsical, right? Well, this is my spin on butterflies. 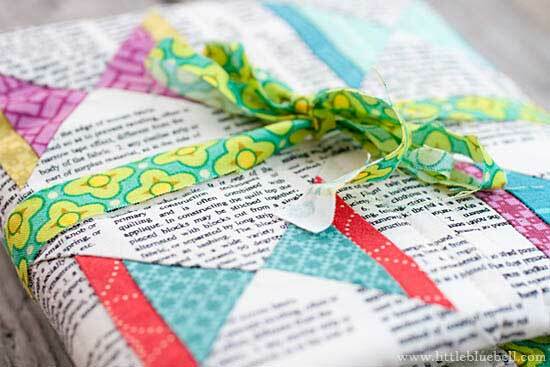 It's a nod to a traditional quilt block with a twist of my own. I loved making it so much, I'm already working on a butterfly quilt. Does anyone else want to try it? I'd be happy to write a tutorial. Very pretty - I agree that it does have a solid nod toward whimsy. I would love to try this block! 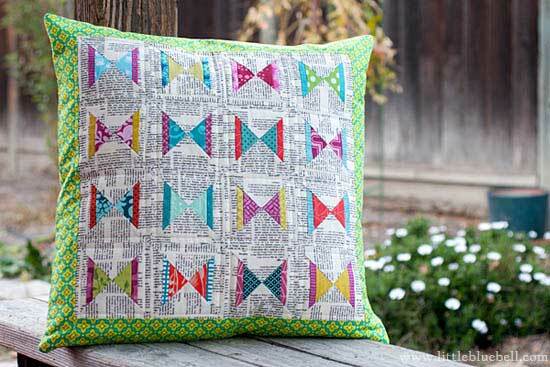 It's beautiful, I love the jewel colors paired with the text fabric. Ooh yes please! This is so beautiful! Ever wonder about Sour Punch?